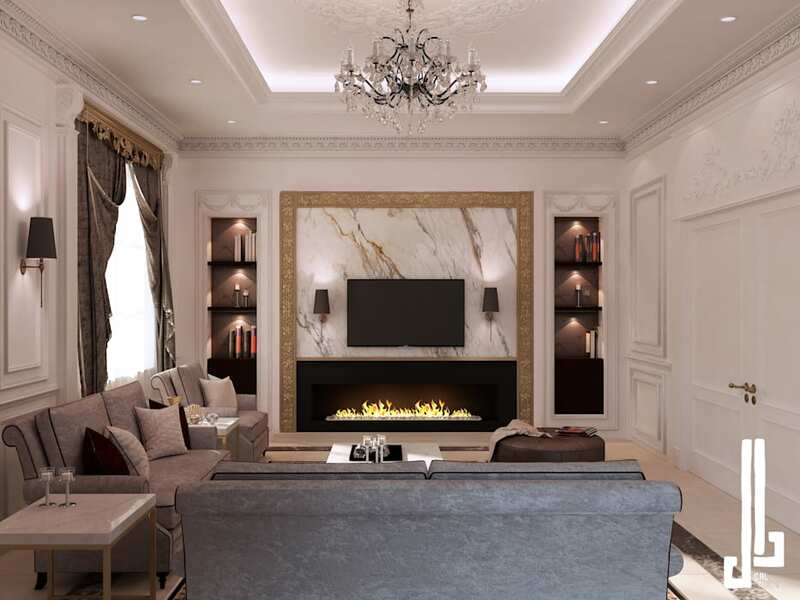 A French classical villa designed to mimic luxury and sleek sophistication. The creamy glossy granite floors, lighting fixtures and crystal lights with floral wallpaper gave the rooms a romantic Parisian feel. The view is finished with classic wall plasters and a mix between old and new furnishing to make you feel like royalty. It is also enhanced with the calming color palette and enriched with pieces of dark emeralds, blues or deep reds.